Big Buddha Temple sits majestically on a small rocky island off Koh Samui’s north-eastern corner. 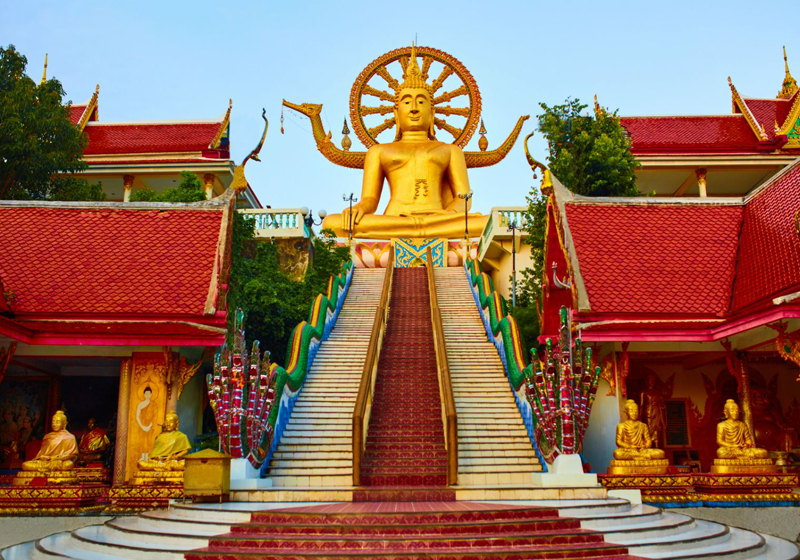 Known locally as Wat Phra Yai, its golden, 12-metre seated Buddha statue was built in 1972 and remains one of the island’s most popular attractions. Short Description: Wat Phra Yai, known in English as the Big Buddha Temple, is a Buddhist temple on Ko Phan - a small island offshore from the northeastern area of Ko Samui, Thailand, connected to that island by a short causeway 3 kilometres (1.9 miles) north of Samui International Airport.